On the heels of the Z900RS and Z900RS Cafe introduced last year comes yet another retro roadster from Kawasaki. The air-cooled 2019 Kawasaki W800 hearkens back to 1966, when Kawasaki introduced the W1. In the U.S., we’ll see the W800 CAFE while other markets will also get the W800 Street sans fairing. When it was introduced, the 624cc W1 was the largest-displacement Japanese motorcycle available, with styling that drew inspiration from British Twins like the BSA A7. The W1 fell out of favor after a few years with the rise of three- and four-cylinder motorcycles, but the W made a comeback in 1999 with the W650 and again in 2011 with the W800, though only the smaller of the two was offered in North America, and only for a couple of years. Outside the U.S., the W800 remained in production until 2016. The 2019 Kawasaki W800 CAFE is powered by an air-cooled fuel-injected parallel-Twin engine with SOHC four-valve heads, with the same 77.0mm bore and 83.0mm stroke as the discontinued W800 for a total displacement of 773cc. Kawasaki employed a heavy flywheel and long, slim intake funnels to produce a strong low- to mid-range torque character. The engine is paired to a five-speed transmission with an assist and slipper clutch. Staying with the retro theme, the header pipes flow down and straight back to a pair of peashooter-style exhausts. 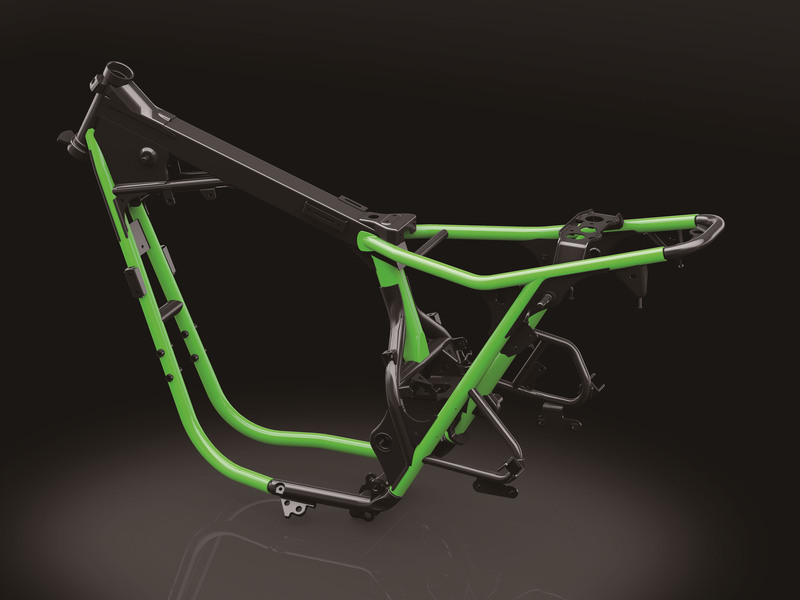 The engine is mounted to a new double-cradle frame, with each piece of tubing optimized to provide a precise amount of rigidity. Kawasaki kept the amount of gussets and brackets to a minimum to both reduce weight and create a cleaner appearance. The suspension is comprised of a rubber-gaitered 41mm telescopic fork and dual rear shocks with adjustable spring preload. The 18-inch front wheel sports a 320mm rotor while the similarly-sized rear is paired with a 270mm disc. ABS comes standard. 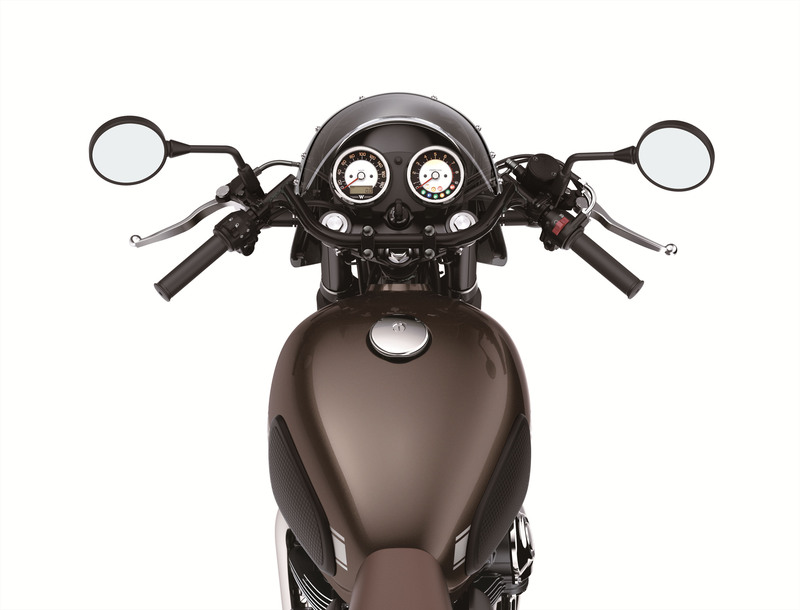 The W800 CAFE adopts a sporty riding position with M-shaped clubman bars creating a forward-leaning posture. For an extra level of comfort, the clutch lever is adjustable through five positions while the front brake lever offers four positions. 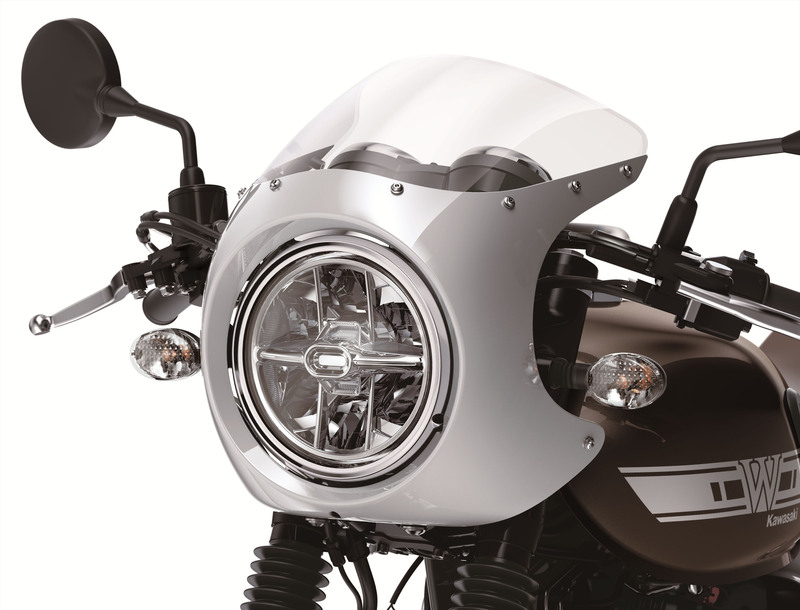 The cafe-style cowl surrounds a large 170mm LED headlamp, combining modern technology with a classic appearance. Behind the cowl sits traditional instrumentation in individual speedometer and tachometer with a multi-function LCD screen. 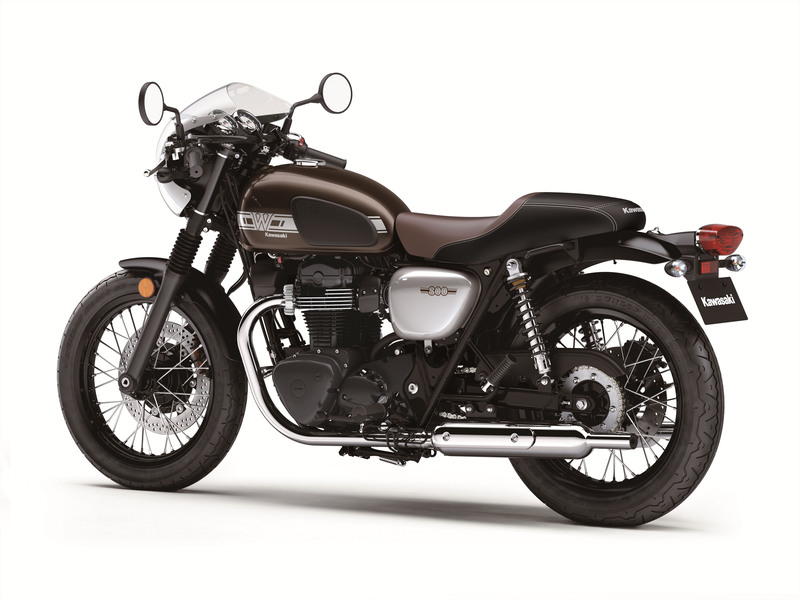 The 2019 Kawasaki W800 CAFE will be offered in a Metallic Magnesium Gray/Galaxy Silver color scheme, carrying a $9,799 MSRP.